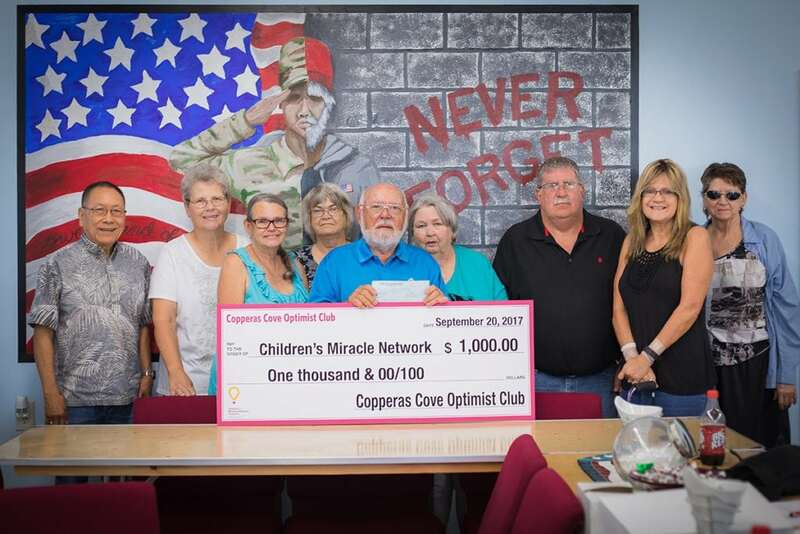 Our friends at the Optimist Club in Copperas Cove are always reminding us how lucky we are to have them in our McLane Children’s family. Sept, 20th they donated another $1,000.00 to Children’s Miracle Network Hospitals for McLane Children’s Medical Center. Thank you Optimist Club! We appreciate you more than you know! Previous post: Menchies Loves McLane’s!